Let's get motivated! This workshop is designed to help you find the time and the inspiration to write. No more staring at a blank screen. Come to this workshop and give yourself a kick-start, and then learn how to keep going. This creativity workout will get your words flowing and help you make the breakthrough into the next level of writing. 10: a.m. – 4 p.m.
Ross Pennie is the author of The Unforgiving Tides, a doctor’s memoir of Papua New Guinea (Manor House Publishing). Ross also writes medical mystery novels, published by ECW Press. The first of these, Tainted, came out in 2010 and won Arts Hamilton Literary Award for Fiction. He’s followed up with three more medical mysteries: Tampered, Up in Smoke, and Beneath the Wake. (For more about Ross's mysteries or to buy one, see here). At the workshop, Ross will speak on how to turn ordinary life into dramatic material and will answer questions about how he wrote his memoir and got it published. 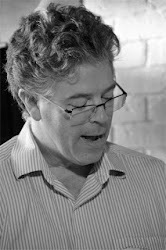 Workshop leader Brian Henry has been a book editor and creative writing instructor for more than 25 years. He publishes Quick Brown Fox, Canada’s most popular blog for writers, teaches creative writing at Ryerson University and has led workshops everywhere from Boston to Buffalo and from Sarnia to Charlottetown. But his proudest boast is that he has helped many of his students get published, including Ross Pennie, the guest speaker at the Writing Your Life workshop. Note: Don't ever miss a post on Quick Brown Fox. Fill in the "Follow Brian by Email" box to the right under my bio and get each post delivered to your Inbox. 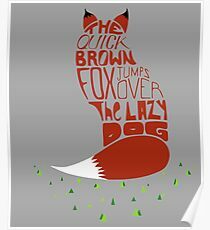 Also, you can hang out and chat with Quick Brown Foxes (and vixens) on Brian Henry's Facebook page here. For weekly creative writing classes, one-day workshops, and the Algonquin writing retreat, see here. Rarely was it the case (I hate the business side of writing) but I actually had a copy in my car and I got it for him. This man, who later sent me a kind note on Facebook, told me that he and his wife were residential school survivors, and since the main character in my novel was an elderly residential school survivor, he wanted to read it. I told him that I was not of First Nation heritage, but I’d done my research, talked to indigenous people and knew something of the timeless reach of trauma through my work as a clinical psychologist. He thanked me for writing my book and said what was important was that more people learn about what happened to his people. At one of my readings a First Nations woman stood up and said when I read the section about my character, Elinor, hoarding food for her journey to find her lost daughter, she was reminded of her own time in residential school, that they never had enough to eat, that they didn’t learn how to cook, and that was why so many of her people were overweight. She bought my book and said she hoped it would help with her healing. I have stories from others in emails, on my website and Goodreads page, for whom my book has had meaning and reflected their own lives. A young First Nations woman whose mother was a residential school survivor has become a dear friend who visits regularly. She has read my book and calls me an ‘ally’ in the reconciliation movement. I have found all of these connections, messages and communications very moving. No doubt lots of authors have these type of experiences. While quite unprepared for the array of responses I received I am deeply grateful for them all. Because I wrote the book that I did need, when I did, I have become immersed in a momentous moment in Canadian history. 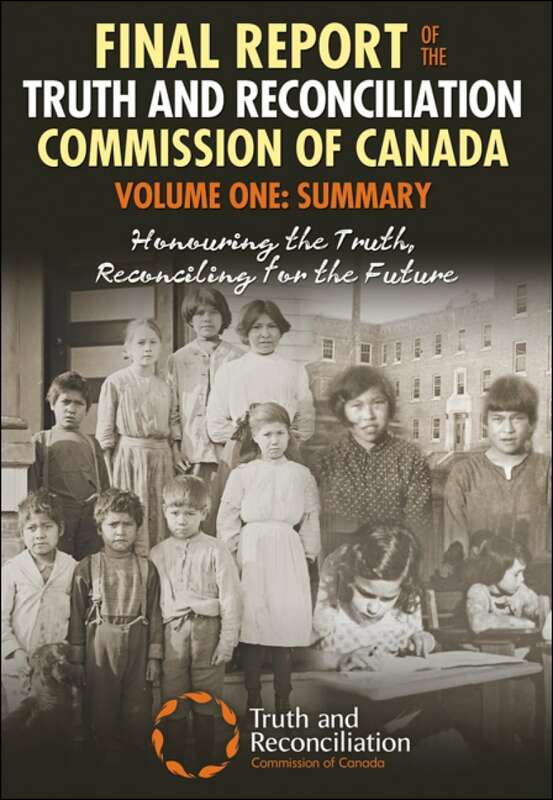 Between 2010 and 2013, the Truth and Reconciliation Commission travelled the country bearing witness to and recording the stories of First Nations people who are residential school survivors. Approximately 6,000 thousand people testified, several volumes of the proceedings were published and are available on Amazon and in libraries across the country. My novel was released into that climate. I still have moments when I think I should not have written what I did; I’m not a First Nations person. And, to this day, the discussion in magazines, on television and in newspapers about cultural appropriation remains fierce in Canada. I started my novel at Spalding, an earlier version was my Creative Thesis. Even then I had doubt. But wise Spalding mentors counselled that if I followed that line of reasoning I would only write my own memoir. The friend who has called me an ally tells me that the characters in my novel are believable, honest and true human beings, not the stereotypical drunken and drug addicted Indian. In June 2017 I travelled to New York City to attend the Lambda Literary Awards. My novel was nominated in the Lesbian Fiction category. Although I didn’t win I’ve not spent a moment bemoaning that. It was a wonderful evening to chat with other authors and to hear Jeanette Winterson, Masha Gessen and Jacqueline Woodson speak. And, a real treat, while in New York, I had lunch with Neela Vaswani, my mentor in my final term at Spalding University! Any advice? Write outside your comfort zone, write what you don’t know. Who knows where it will take you. 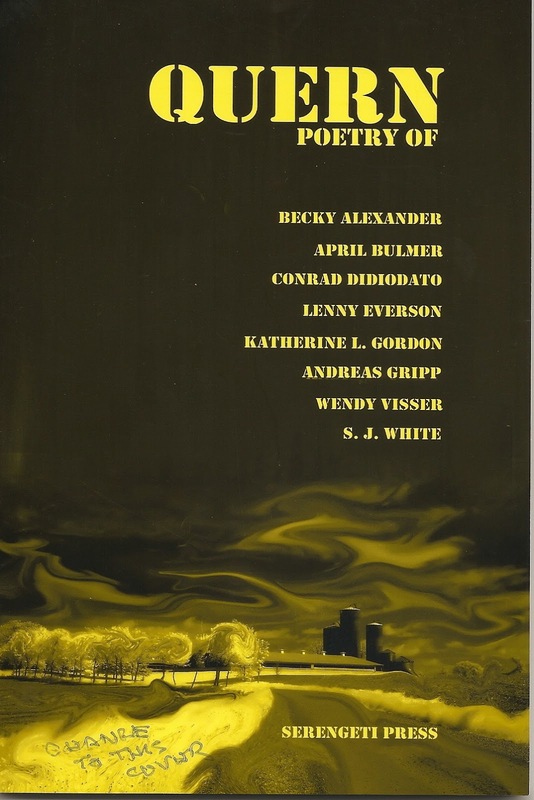 The book is a collection of poetry called Out of Darkness, Light (Hidden Brook Press, John B. Lee Signature Series). 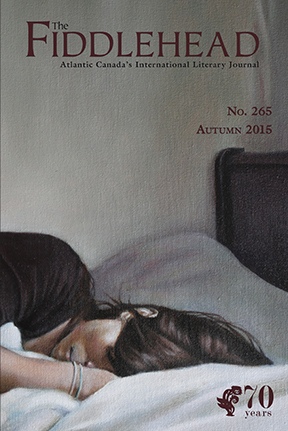 April will be launching with poet, Mary Ann Mulhern, from Windsor. There will be short readings and refreshments. Books will be available for sale and signing. This is a free event. Parking, too, is free at the lot on King St. E and Dover St, or at the Alan Reuter Centre just east of the library. 384 pages. Published by MIRA BOOKS, a division of HarperCollins. Available in bookstores and at the usual on-line outlets, including Indigo here. “Lies, damn lies, and…” Mark Twain didn’t have the benefit of Hannah Mary McKinnon’s second novel, The Neighbors, to finish one of his more famous quotes. Lying comes second nature to the main characters. They lie to each other and to themselves about their past lives and their present situations. Each has a reason to hide the truth from their partner, and confronting their innermost feelings – about themselves and for each other – is too dangerous an option. In turn quirky, funny, dark and devious we see new neighbors in suburban south London, England over a period of several months. Liam and Nancy, with their teenage son have moved in next door to Nate and Abby and their teenage daughter. Liam and Abby were once lovers, twenty years ago, something which neither has ever disclosed to his or her partner, or ever relinquished. Sparks fly. Tensions build. Liam and Abby are drawn to each other again. Scheming Nancy tries to lure Nate, the nicest guy anyone will ever meet, into her web – or at least her bed. And the teens, Sarah and Zac? That would be telling. (Hint: Sarah keeps a diary). the four principle characters and weaves them seamlessly into the present in short, episodic chapters, ‘Then’ and ‘Now’ linking past with present. Each character has a distinct voice, both in their speech patterns and choice of words, and the way in which each ‘Writes’ his or her own episode. A book for the plane, the beach, your favourite window seat on a drizzly day or last thing at night – no, scratch that last one, unless you want to stay up all night, reading. Note: Hannah will be the guest speaker at the How to Build Your Story workshop Saturday, Oct 20, in Waterloo. Details here. Michael Joll is the author of Perfect Execution and Other Stories and contributed four stories to the recently published collection Our Plan to Save the World. 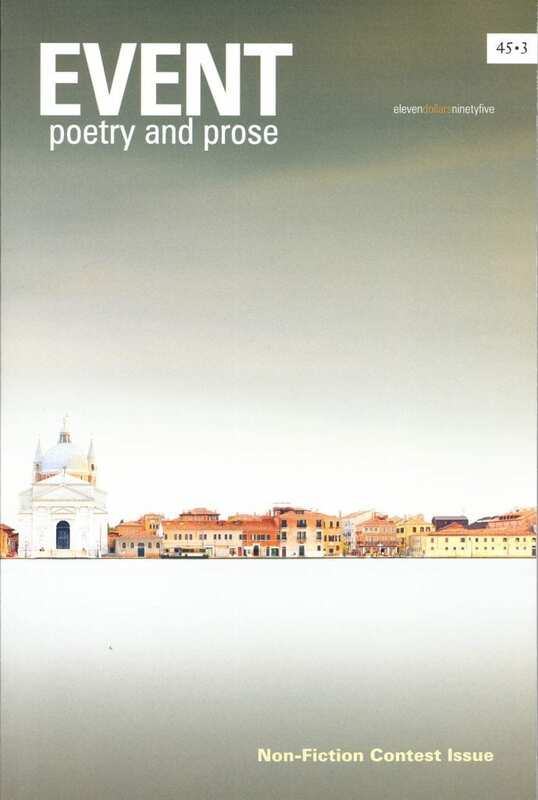 Michael has also published numerous short stories on CommuterLit and Quick Brown Fox. He’s written four radio dramas (three broadcast), and four yet-to-be-published novels. (He's actively seeking an agent for one of these.) And he's president of the Brampton Writers' Guild. Michael lives in Brampton, Ontario, with his wife of many, many years. When not writing he tries to grow roses. 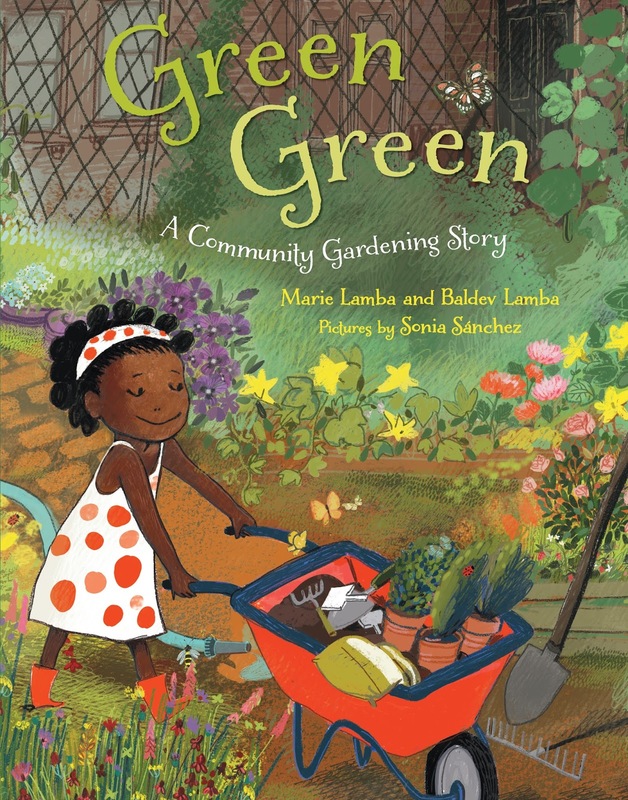 Marie Lamba is the author of the picture book Green Green (Farrar Straus Giroux, 2017), of the upcoming picture book A Day So Gray (Clarion), and of the young adult novels What I Meant… (Random House), Over My Head, and Drawn. Her articles are in more than 100 publications, and she’s a frequent contributor to Writer’s Digest. She has worked as an editor, an award-winning public relations writer, and a book publicist, has taught classes on novel writing and on author promotion, and belongs to The Liars Club. 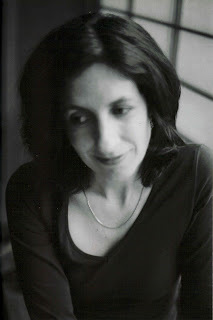 Marie is also a Literary Agent at the Jennifer De Chiara Literary Agency in NYC, where she represents picture book writers and illustrators, middle grade, YA and adult fiction, plus memoir. You can follow her on Twitter @marielamba, and like her Facebook page: Marie Lamba, Author, and visit her blog here. QBF: Marie, a big welcome to Quick Brown Fox. Marie: Thank you so much for having me here! QBF: On The Jennifer De Chiara Agency's website, you express interest in Middle Grade and Young Adult books with a STEM tie-in. Can you expand on that? Marie: STEM stands for Science, Technology, Engineering and Math. When fiction ties into one of these areas, it adds a dimension to the work that really appeals to schools and libraries, because they are looking for books that encourage kids to nurture these skills. Books with a hook – meaning they have something about them that easily draws people to them – tend to sell better. But more importantly, a STEM tie-in is so helpful to kids who are interested in these topics. They love to see themselves reflected in literature in a positive way. This is especially important for girls because we need more girls in these fields. Some great examples of STEM tie-in books I represent? Check out The Friendship Experiment (Houghton Mifflin Harcourt), a debut middle grade novel by Erin Teagan about a science-loving girl struggling to find the perfect formula for her mixed up life. Also, give a look at To the Stars! (Charlesbridge), a picture book written by Carmella Van Vleet and Dr. Kathy Sullivan, illustrated by Nicole Wong, which is about Dr. Sullivan, the first American woman to walk in space! QBF: Also, you mention looking for MG and YA novels with diverse points of view. What sorts of voices are you hoping to find in submissions? Marie: I’m a strong believer in representing all voices and points of view in literature. That means representing stories with folks from diverse races, LGBQT people, various religious backgrounds and nationalities, as well as people with disabilities. My own kids are of mixed race, and I never saw mixed kids represented as heroes in stories, so as an author myself, I wrote two young adult novels that did just that: What I Meant… (Random House), and Over My Head. The response that I got from mixed kids around the world was moving – they really appreciated seeing themselves reflected in books. QBF: Any other books you’re especially looking for? Anything you see too much of or that seems overdone these days? Marie: I’ve definitely seen enough of the snotty popular teenage character and her crew ruling high school type of books. Do we really only care about being popular? Or about snagging that hot popular guy who seems shallow but secretly has a heart of gold? Instead, I’d love to see more young adult novels that are nuanced and that reflect the complexities of what teens really go through these days. I’d also love more heartfelt middle grade novels that make me laugh but that also make me tear up and ache for the main character. And I’d love to find works that reveal true heroes – stories that we can all be inspired by. 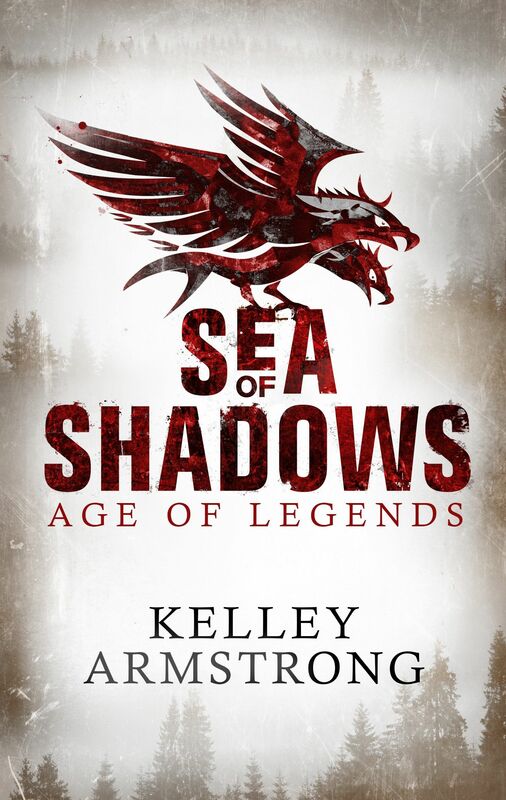 Oh, and some fun middle grade fantasy that doesn’t feel like a copycat of something already out there. Marie: Sure! First comes the query letter. Is it well-written, and does it draw me in? Honestly, if a writer can create a one page letter that is compelling, then I’m not going to have faith in their work. Next, and only if I’m interested in what the query said, I’ll read the 20 pages pasted in below the query (my guidelines allow that). Often I’ll lose interest within just a few lines, simply because the writing isn’t of good quality. But, if I zoom through those pages and I’m longing to find out what happens next, I’ll Google the writer to make sure what I find online is professional and positive. If I find that the writer has nasty posts bashing agents, editors or writers, or I find the author is in some way offensive online, then I’ll reject that person. Remember, I have to work with them over the long term. But if everything looks good, I’ll ask for the full manuscript. If the full not only lives up to its promise, but completely wows me (and it feels like the type of project I know I can help the writer with and market to commercial publishers), I’ll schedule a call with the writer to chat with them about their goals and expectations. If we seem to be on the same page, then I’ll offer representation. Macmillan Canada here and Macmillan US here. QBF: Are there things you come across in query letters or manuscripts that will get them immediately rejected? If so, what are a few of them? Marie: Yes! I think all of these are no-brainers. Like if the writer is obnoxious, saying they know agents are all greedy and not interested in quality, or they include anything rude and unprofessional. If the writer doesn’t address me by name (then I know it’s a cut and paste to everyone), or says things like Dear Agent, or even Dear Sirs! Whenever a writer sends out a query to all agents in the world (all cc’d), I delete without reading it. If the writer includes attachments, makes the query itself an attachment, or asks me to look at online links rather than giving me a query. Also, poor grammar and sloppy writing is, of course, a no-no. As is sending me things that I specifically say in my guidelines that I don’t represent. Marie: I’m drawn in by the description, and then? The writing really adds to my interest and excitement. If I feel lost in the writer’s world and just have to see more, then I know there might be something special there. QBF: How many pages do you usually read before you give up on a manuscript? Marie: It varies. Terrible writing can stop me within a line or two. Wonderful writing can pull me through the initial 20 pages and get me to request the full, but sadly, the majority of manuscripts do tend to lose my interest by around 50 pages in. I suspect that writers spend so much time polishing their initial chapters, but everyone should really pay attention to pacing and structure throughout so that the quality shows up on every page. QBF: Besides the writing and publishing credentials – and loving their work, of course – is there anything else you like to know before you decide to represent an author? Do you like to meet with prospective authors? Marie: I have clients all over the world, some of whom I’ve never met (but would love to some day!). But if I’m interested, I always connect with a writer over the phone before offering representation. I want to make sure that they are cooperative and open to edits, and that they know they must take a role in marketing their own writing online and in person. I also want to understand what they’re looking for in an agent and to see that their professional expectations are realistic. Also, I want to be sure that we click, since we’ll be partners for, hopefully, a long time in their career. QBF: Can you tell us something about how you work with authors…. Marie: As an author myself, I take an author’s career very seriously. I know we writers want to know what’s going on in the background, so I always let my clients know when things have gone out, to whom, and I share editor responses as they come in. Communication is so important, so I really try to keep my clients in the loop. QBF: How much editorial work do you do with your clients? Marie: I’m extremely editorial, which means that if a novel needs work, I’ll point out specifics that need attention, as well as offer up suggestions. I work closely with my authors in order to make sure that submissions are in their very best form before going on submission to editors. While this takes a lot of time on my end, it’s proven very worthwhile, and editors have reacted so positively to submissions that I’m happy to put in the time on this aspect. QBF: Can you tell us something about how you pitch to publishers. Do you make preliminary editing suggestions to your authors before pitching the work to a publisher? 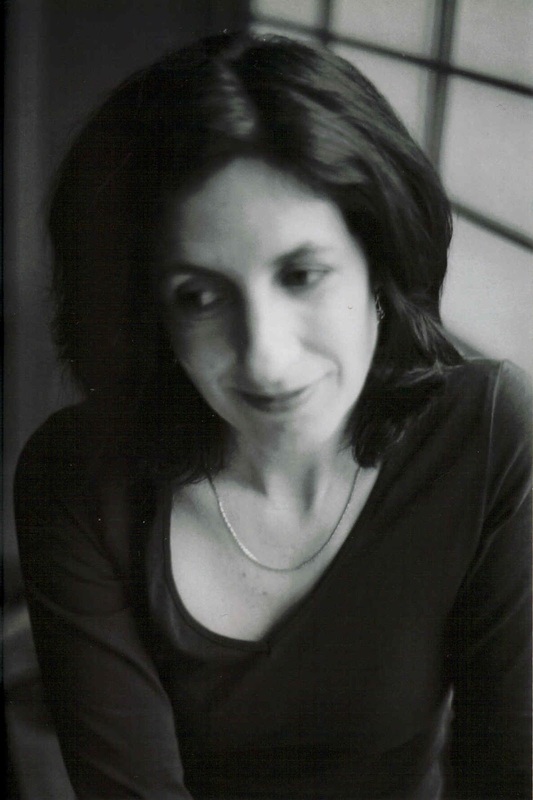 Marie: Once the manuscript is in tip-top shape and I’ve worked with the author to create an appealing brief synopsis and a tight author bio, I next spend time shaping my verbal pitch. Sometimes this takes me days to get just right. It’s so important to capture the essence of the work and to convey to an editor why they should be excited to read it. Next I spend a solid amount of time pulling together my list of editors, and I research recent developments to make sure that these folks’ interests haven’t shifted. Then I get on the phone and start calling, and pitch the book to the editor. I then follow up with a well-crafted email that includes a bit more about the book and the author, and attach the manuscript, the synopsis and the bio. QBF: About what percentage of books that you submit to publishers actually get accepted? Marie: Great question! I’ll never have the answer to that one – because this is a subjective business and it’s impossible to know which books will be snapped up immediately and which ones may not find a home. I believe that everything I send out is compelling and of high quality, but if the market is starting to move away from an element in a book or an editor has something in the pipeline that feels a bit too similar or they, for some reason, just don’t fully connect with a project, editors may pass. I do think it’s important as a writer to know that your agent will do everything possible to find a home for your work, but getting an agent doesn’t guarantee a book deal. QBF: Is there any book (or books) that come to mind that taught you something about the publishing industry, and what did it teach you? Marie: Good question! For me, success in this industry really rests in writing a well-crafted book. So I tend to read books about the writing craft, more than about the industry. One of my very favorites as a writer and an agent is Writing the Breakout Novel Workbook by Donald Maass. It breaks down how books can fail when it comes to plotting and structure and tension, etc. And it includes ways to fix these elements. Knowing these elements helps me spot weaknesses in works. And I’ve found it pays to listen to what editors say to me when they do pass on a client’s work. Sometimes these comments point to issues in the manuscript that can be revisited, and sometimes we’ve been able to address these issues in a revision, send it back out into the marketplace and seal some really sweet deals. Best of luck to you all with your writing! Put "Query" in the subject line of your email, and please send the first twenty pages in the body of your email (no attachments), along with a one-paragraph bio and a one-paragraph synopsis within your query letter. For her full submission guidelines see here. If you’re interested in getting published, soon or somewhere down the road, don’t miss the How to Get Published workshop with literary agent Paige Sisley, Saturday, August, 18, in Collingwood (see here). For updated listing of How to Get Published workshops, see here (and scroll down). And if you’re interested in Writing for Children or for Young Adults, Brian Henry will lead a mini-conference with Yasemin Uçar, senior editor at Kids Can Press, children’s author Kira Vermond, and YA author Tanaz Bhathena, Saturday, Sept 22, in Oakville (see here) and also a Kid Lit workshop in Sudbury sometime in the fall (details to come). 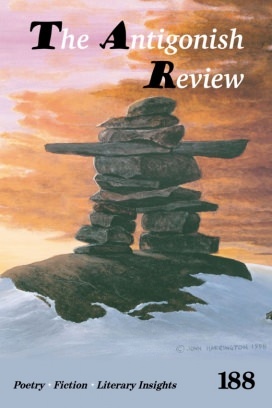 And don't miss: Writing and Revising, Saturday, May 26, in Oakville (see here), How to Make Yourself Write, Saturday, June 9, in London (see here)., and Writing Your Life on Saturday, June 23, in Mississauga (see here). 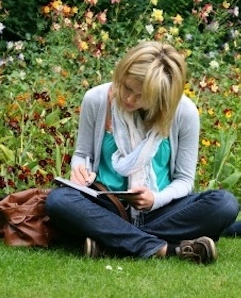 Intensive Creative Writing, Tuesday afternoons, July 3 – Aug 21, first readings emailed June 26, in Burlington. See here. Intensive Creative Writing, Wednesday evenings, July 4 – Aug 22, first readings emailed June 27, in Burlington. See here. See details of all three courses here.